The word ‘prefab’ is not an industry term like modular home, manufactured home, panelized home or site-built home. The term is an amalgamation of panelized and modular building systems, and can mean either one. In today's usage the term ‘prefab’ is more closely related to the style of home, usually modernist, rather than to a particular method of home construction. ‘Prefabricated’ may refer to buildings built in components (e.g. panels), modules (modular homes) or transportable sections (manufactured homes), and may also be used to refer to mobile homes, i.e., houses on wheels. Although similar, the methods and design of the three vary widely. There are two-level home plans, as well as custom home plans. There are considerable differences in the construction types. In the U.S., mobile and manufactured houses are constructed in accordance with HUD building codes, while modular houses are constructed in accordance with the IRC (International Residential Code). Modular homes are created in sections, and then transported to the home site for construction and installation. These are typically installed and treated like a regular house, for financing, appraisal and construction purposes, and are usually the most expensive of the three. Although the sections of the house are prefabricated, the sections, or modules, are put together at the construction much like a typical home. Manufactured homes, once placed on a permanent foundation, are considered the same as modular or site build homes for appraisal purposes. Manufactured homes are built onto steel beams, and are transported in complete sections to the home site, where they are assembled. Wheels, hitch and axles are removed on site when the home is placed on a permanent foundation. Mobile homes, or trailers, are built on wheels, that can be pulled by a vehicle. They are considered to be personal property, and are licensed by the Dept. of Motor Vehicles. "Tiny homes", which are gaining in popularity, are within this category. They must be built to the DMV code, and pass inspection for licensing. Mobile homes and manufactured homes can be placed in mobile home parks, and manufactured homes can also be placed on private land, unless the land is within a subdivision whose CC&Rs prohibit manufactured housing. Constructing manufactured homes typically involves connecting plumbing and electrical lines across the sections, and sealing the sections together. Manufactured homes can be single, double or triple-wide, describing how many sections wide it is. Many manufactured home companies manufacture a variety of different designs, and many of the floorplans are available online. Manufactured homes can be built onto a permanent foundation, and if designed correctly, can be difficult to distinguish from a stick-built home to the untrained eye. Manufactured homes are typically purchased from a retail sales company, initially assembled by a local contracting company, and follow-up repairs performed by the manufactured home company under warranty. A manufactured home, once assembled, goes through a ‘settling-in’ period, where the home will settle into its location. During this period, some drywall cracking may appear, and any incorrectly installed appliances, wiring or plumbing should be repaired, hopefully under warranty. If not covered under warranty, the costs will be borne by the consumer. For this reason, it is important that the consumer ensure that a reputable and honest contractor is used for the initial set-up. If any repairs are not completed by the initial set-up crew, the manufacturer will send repair crews to repair anything covered by the warranty. The secondary repair team must be scheduled, and may not be available immediately for most repairs. Just because a manufactured home has been assembled does not mean it is immediately habitable; appropriate ventilation, heating, plumbing, and electrical systems must be installed by a set-up crew, otherwise, the buyer must wait for the manufacturer repair team or do it themselves. The first prefabricated homes and movable structures were invented in 16th century in India by Akbar. These structures were reported by Arif Qandahari in 1579. It can be proved that the first mention of a prefabricated building was in 1160 to 1170 by Wace as confirmed by Pierre Bouet. In the special May/June 2015 edition of the French magazine Historia, he spoke of a castle transported by Normans in 'kit' form. According to Bouet, Wace's epic poem Roman de Rou, verses 6,516–6,526, states: "They took out of the ship beams of wood and dragged them to the ground. Then the Count (Earl) who brought them, (the beams) already pierced and planed, carved and trimmed, the pegs (raw-plugs/dowels) already trimmed and transported in barrels, erected a castle, had a moat dug around it and thus had constructed a big fortress during the night." Wooden homes have always been popular in North America, due to the large quantity of timber available in North America. In the United States, several companies including Sears Catalog Homes began offering mail-order kit homes between 1902 and 1910. In the United Kingdom, more than 156,000 prefabricated homes were built between 1945 and 1948. After the World War II until 1948, Sell-Fertighaus GmbH built over 5,000 prefabricated houses in Germany for the occupying force of the United States. The prefab house requires much less labor compared to conventional houses. Most of the companies[clarification needed] sell pre-manufactured modular homes called ‘mobile homes’ or ‘manufactured homes’. Local governments in North America generally have specialized regulations such as HUD regulations besides general building codes, applicable to pre-manufactured housing. Manufactured homes are not permitted in some communities, and therefore, a prospective homeowner should check the local construction law and zoning code pertaining to prefab homes. There is no pan-EU housing standard for this kind of home construction, as regulation has historically been at the national government level. There are however many EU directives that do apply to housing construction and design, but these directives do not directly affect the inter-EU modular home sector due to inter-EU free trade considerations. However, each modular home is legally expected or obliged to be integrated into the local building regulations once the final construction is finished. 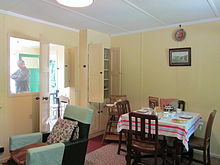 In the United Kingdom the word ‘prefab’ is often associated with a specific type of prefabricated house built in large numbers after the Second World War, such as Airey houses, as a temporary replacement for housing that had been destroyed by bombs, particularly in London. Despite the intention that these dwellings would be a strictly temporary measure, many remained inhabited for years and even decades after the end of the war. A small number are still in use in the 21st century, but more and more are being demolished. 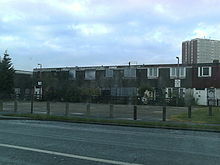 In 2011 it was announced that Britain’s largest remaining prefab estate of 187 homes in Lewisham, South-East London, is to be redeveloped except for six homes. Prefabs were also built in the First World War such as the still occupied houses in Austin Village, Birmingham. There are a small number of prefab home builders in Australia. In the overall housing sector, prefab housing construction is very small as the overall rate of housing construction has been very low due to slow population growth. The prefab sector in Australia is more optimised for exporting its product, as domestic consumption is limited. In 2010, Bali exported 98,417 prefabicated houses, but in 2011 the country only exported 5,007 units due to the global economic slowdown that affected a number of export destinations. These Balinese prefab houses are well known for their artistic design and practical value. Prefab homes are becoming popular in Europe, Canada and United States as they are relatively cheap when compared to many existing homes on the market. The 2007 finance crisis has however deflated the cost of housing in North America and Europe, so not all prefab homes should be assumed to be cheaper than existing housing. Modern architects are experimenting with prefabrication as a means to deliver well-designed and mass-produced modern homes. Modern architecture forgoes referential decoration and instead features clean lines and open floor plans. Because of the design simplifications modern architecture provides (coupled with the cost savings that tend go with design simplification) many in the manufactured housing sector generally feel that modern architecture designs are better suited for prefab home construction. ^ "The Whole Kit and Caboodle". Washington Post. 2002-02-07. Retrieved 2011-11-10. ^ "The century makers: 1945". The Telegraph. Telegraph Media Group. 2003-10-11. Retrieved 2011-06-27. ^ White, R.B. ; Colin Chant (1999). David C. Goodman (ed.). The European cities and technology reader: industrial to post-industrial city Cities and technology series. Routledge. pp. 221–228. ISBN 0-415-20082-2. ^ Storr, Will (19 August 2011). "Bulldozers home in on historic prefab estate". Daily Telegraph. Retrieved 10 March 2012. ^ "YMCA and RSH+P's innovative factory-built affordable housing scheme welcomes first tenants in south west London - YMCA St Paul's Group". 8 September 2015. ^ Collinson, Patrick (30 November 2018). "'UK housebuilding revolution': £65,000 prefab homes go into production". the Guardian. Retrieved 30 November 2018. ^ "Bali`s prefab house exports plunge". February 26, 2012. Wikimedia Commons has media related to Prefabricated housing.